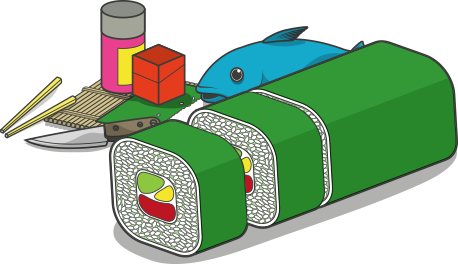 Looking to add variety to your maki-zushi or temaki-zushi platters? Whether boiled, deep-fried or eaten raw, Soft Shell Crab is a deliciously versatile type of seafood – and that’s what makes it ideal for maki-zushi. A unique flavor best described as delicately sweet, with a hint of saltiness, Soft Shell Crab lends itself to myriad of sushi roll combinations, including nori, egg, and even crab-skin! Size is an important factor when choosing the right crab for maki-zushi, as larger crabs tend to be far more flavorful. Sustainably farmed in Vietnam, our Frozen Sashimi Grade Large Soft Shell Crabs are of hotel size with eight pieces per pound (six portions per pack). Each is hand-selected based on size, weight and softness (of the exoskeleton), then flash-frozen to preserve that just-caught freshness. Wondering how the Sashimi grade term applies to crab? Whilst not technically a grade, the term “Sashimi grade” is generally indicative of a superior product. 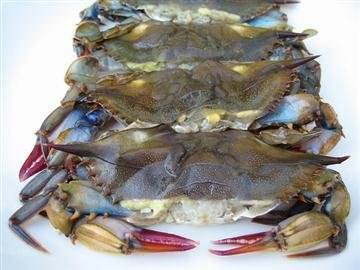 And when it comes to Soft Shell Crab, few can match us for size, quality or flavor. Ever popular with commercial sushi chefs, our delicious Frozen Sashimi Grade Large Soft Shell Crabs are ideal if you want to produce maki-zushi of restaurant standard!